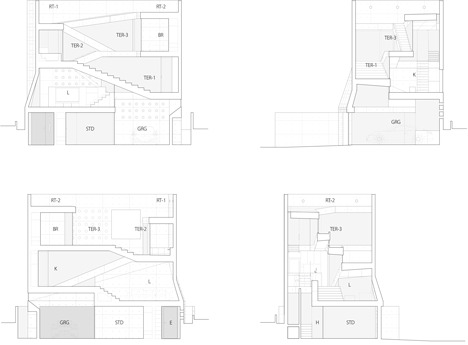 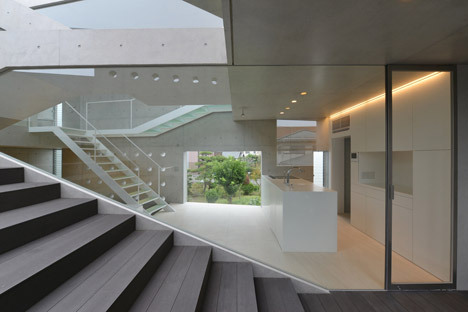 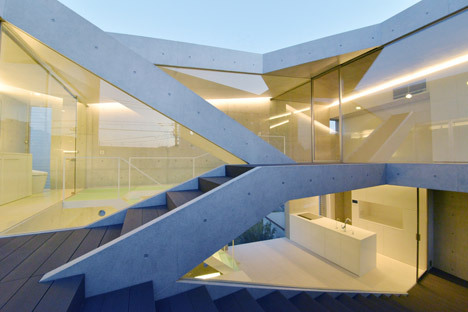 Square and circular holes puncture the facade of this house in Japan. 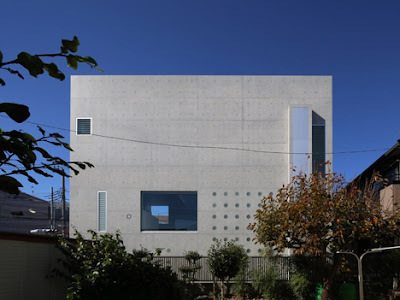 House in Tsudanuma was designed by Chiba-based Fuse Atelier for a couple in their 40s, who previously lived in an older house on the site, but chose to replace it with a contemporary concrete home. 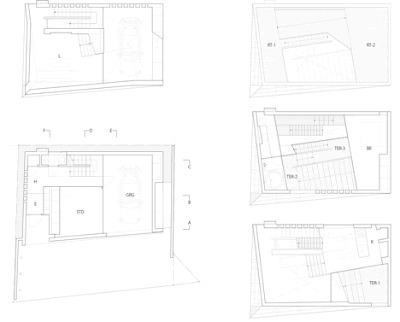 The three-storey house is located in Narashino, a city 37 kilometres east of Tokyo, and on a busy road close to a railway station and several large shops. 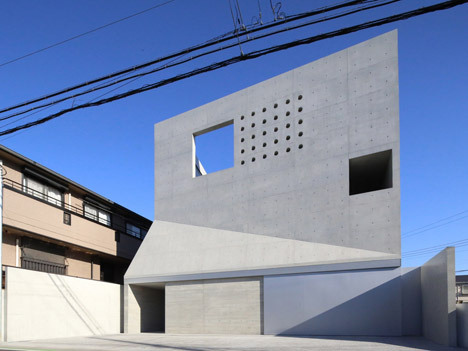 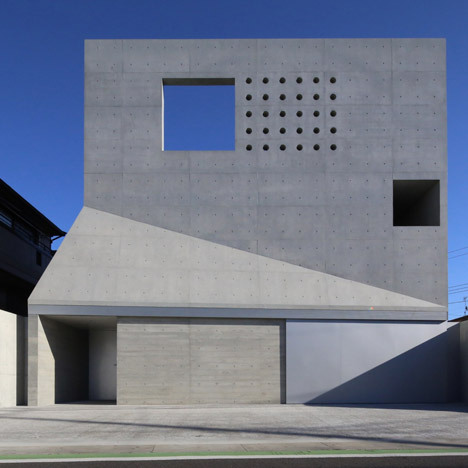 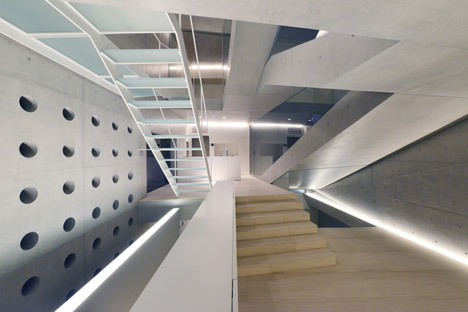 To block noise and vibrations from the road and maintain privacy for the owners, architect Shigeru Fuse designed a windowless concrete facade at the front.